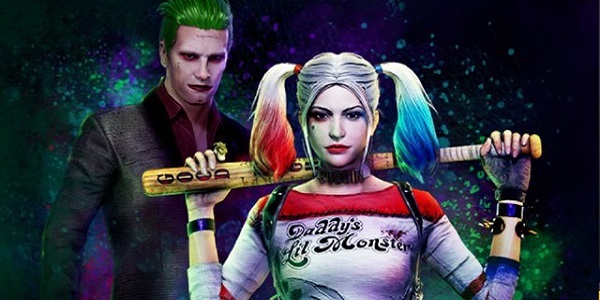 This news comes to us from Gamerevolution, who is reporting that the crossover event for PUBG and Suicide Squad is proving to be an unexpectedly costly affair. That’s to be expected when you’re dealing with licensing but, still, those prices are mighty high for simple cosmetic items. Speaking of which, you can spread out the pain a bit by buying the items piecemeal. If you just want to grab Harley’s costume, that’ll set you back $19.99. Her hair is $3 on its own, as is her makeup and her bat. The Joker’s hair and make-up are $5 a pop, with the costume being $19.99. While cosmetics costing money is all well and good, the push-back from the community seems to be over the fact that the game itself already costs $29.99. In other words, the Harley Quinn pack costs almost as much as the entire game by itself, and the Joker bundle isn’t too far behind. Games like Fortnite, which also features for-pay cosmetics, are at least free-to-play games. Speaking of Fortnite, it’s hard not to see this collaboration between PUBG and Warner Bros. as a direct response to the competition. Earlier this year, Fortnite hosted a special game mode that featured Thanos, the California Raisins reject who single-handedly annihilated half of the Marvel Universe. That event was free, though, and didn’t include licensed costumes outside of the fact that players got to temporarily turn into Thanos himself. There’s no special game mode tied to the Suicide Squad costumes in PUBG, though, and the movie is well over a year old at this point, so the timing seems super odd. And, again, the pricing just seems a bit on the extreme side. Circling back to Fortnite, the team at Epic recently announced a partnership with the NFL. The football costumes will cost $15, but they also come with some rad customization options. For starters, buying the costume will allow you to choose from any of the 32 NFL teams, which can be changed at will between matches. Also, you can choose your jersey’s number at will. That’s a heck of a lot of options, all at about half the price PUBG is charging for just the Harley Quinn costume. But the nice thing about all of these cosmetic items is that nobody has to pick them up. If they are worth the money to you, that’s fantastic; give them a purchase and go have a blast. If you don’t want them or think the price is too high, your game won’t be impacted in the least.